Brazil’s space-age capital has become a magnet for groups with cosmic and magic undertones. 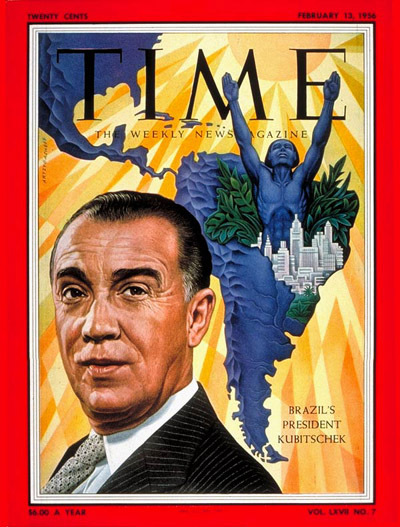 In 1953, the country’s former president, Juscelino Kubitschek de Oliveira, received a vision. One night he confided in his spiritual adviser, a seven-foot tall 100 year old woman named Rosa, that seven extraterrestrial beings had dictated plans for a new capital. He unrolled a detailed map shaped roughly like a giant bird or airplane, that was to become the city of the future. It was built in three years, from 1957 to 1960, in the middle of nowhere, high on a windswept plateau. The bizarre modern architecture makes the center of the city appear like a landing pad for intergalactic spaceships. I’m standing outside the Cathedral of Brasilia, a circular hourglass-shaped building supported by curved pillars that vault skyward. Egyptologist Iara Kern, who has closely studied the hidden mystical meanings of the city’s buildings, says the 16 pillars are a Kabbalistic message. Not far away is a rusting conical tower of cables that many residents claim is an intergalactic psychic antenna. Not far away from the city is a community known as the Valley of the Dawn, one of hundreds of sects that flocked here after the city was built, drawn in part by its futuristic design. Followers believe that a fleet of invisible spaceships, undetectable by scientific instruments, hovers over the valley all year ‘round. The visitors originate from a planet known as Capela. 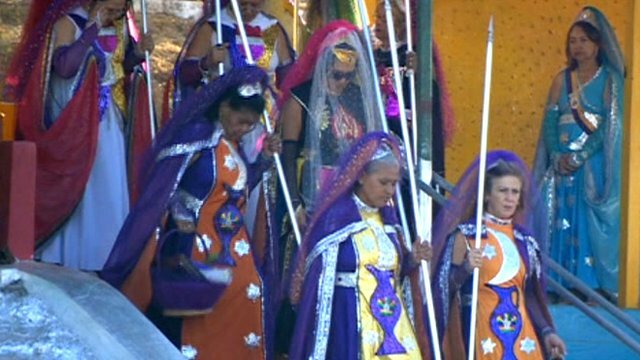 Twice a day, believers participate in a psychic uplink known as Jaguars and females known as nymphs dress in colorful mixed-period regalia with medieval swords, renaissance cloaks, togas, lances and standards flapping marked with various arcane symbols. Not far away in a place called The Eclectic City, a former Brazilian Air Force pilot who calls himself Master Yokaanam founded a Utopian society based on orders he received from an extraterrestrial during a routine flight. Understandably distracted, Yokaanam forgot his control and plunged toward the Earth. He woke up in a hospital bed, and immediately understood his mission. He was told the plateau of Brasilia was the only place on the planet safe from earthquakes, floods and other disasters that were sure to come – because a planet 300 times the size of Earth is now speeding silently, invisibly toward our doomed planet. 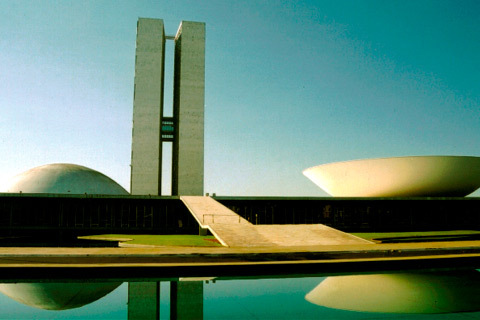 To discuss more strangeness of Brasilia and other topics, stop by the National History Honors Society, where bold speculation is welcome. This field trip is sponsored by the Miskatonic University Department of History.